Take a self-guided history walk around Bethel village to learn more about the historic homes and businesses. The following is taken from Bethel: A Historic Town, an online exhibit from the Bethel Historical Society. 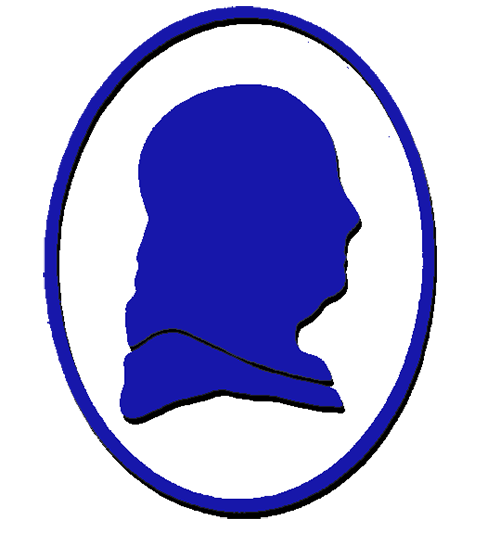 Be sure to visit the Museums of the Bethel Historical Society at 10 & 14 Broad Street on your trip to Bethel, Maine. Long before white settlement, Bethel was home to generations of Abenaki Indians. 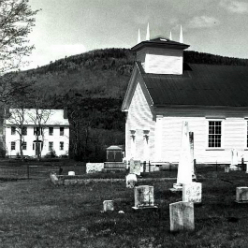 Their main village site here was located on the north bank of the Androscoggin River west of Riverside Cemetery. Thanks to the labors of Bethel's preeminent nineteenth century antiquarian and educator, Dr. Nathaniel Tuckerman True, we know something of the lives and times of Bethel's last Native inhabitants, including the legendary figure Molly Ockett, who died in 1816. The American War for Independence slowed the settlement of this region to such an extent that there were only ten families residing in Sudbury Canada at the time of "New England's Last Indian Raid" in 1781. 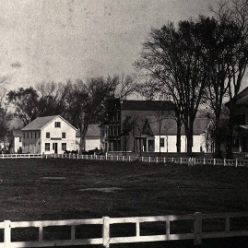 Following the War, however, the movement of individuals and families from northeastern Massachusetts and southwestern New Hampshire into Bethel increased rapidly, resulting in the 1796 incorporation of the town under the new name of "Bethel," taken from the Book of Genesis and meaning "House of God." Farming and timber cutting were the principal occupations of these first inhabitants, who settled near the rich intervales alongside the Androscoggin River. Eventually a cluster of semi-independent villages developed throughout the town, including Bethel Hill, South Bethel (Walker's Mills), North Bethel (Swan's Corner), Middle Intervale, East Bethel (Bean's Corner), Mayville, Skillingston (Steam Mill or Buttonville) and West Bethel (Gander Corner). Today, agriculture and forest-related activities remain important in Bethel, although the marginal hillside farms of the nineteenth century long ago turned back to woods. 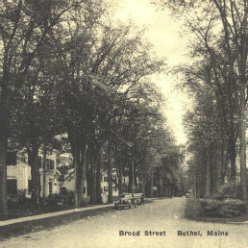 With the arrival of the Atlantic & St. Lawrence Railroad in 1851, connecting Bethel to Portland and, later, Montreal, manufacturing and tourism became major factors in the town's economy. 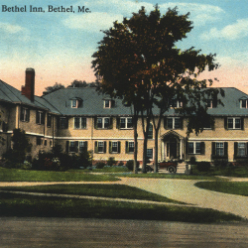 Large summer hotels were constructed at Bethel Hill, and the town rapidly became a significant way-station for the growing White Mountain and Rangeley Lakes tourist trade. Once called "The Athens of Oxford County," Bethel has long been a significant educational center for the region. Founded in 1836, Gould Academy continues to function as one of the Northeast's premier college-preparatory schools. In the late nineteenth century, Bethel became the site of Dr. John George Gehring's pioneering clinic for the treatment of persons with nervous disorders. (William Bingham 2nd, Bethel's great philanthropist, first came here in 1911 as a patient.) Until recently, Dr. Gehring's elegant Broad Street home was occupied by the internationally known NTL Institute, which was founded at Bethel in 1947 and continues to specialize in the study of human dynamics. Culturally, the town also profited immeasurably from the efforts of William Rogers Chapman (1855-1935), impresario, conductor, organist, and composer. The founder of the Maine Music Festival in 1897, Chapman brought many notable vocalists to Bethel, including the Metropolitan Opera star Geraldine Farrar who performed in historic Odeon Hall. Through the years, a number of other famous people have had an association with the town. The list includes Alexander Graham Bell, whose wife, Mabel Hubbard, was a student of Mary True, a renowned teacher of the deaf, and Ernest Skinner, one of America's great organ builders, who was married here in 1893 and whose remains lie in Bethel's Woodland Cemetery. Since the turn of the twentieth century, Bethel has witnessed many changes. Indeed, over the last century, Bethel has experienced an unusual number of outside influences for a town of its size and inland location. These have affected its attitudes and inclinations, causing it to stand apart somewhat from surrounding communities. 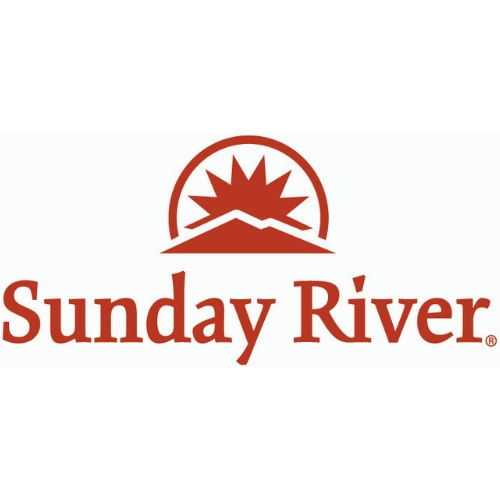 Often thought of as a ski town due to its proximity to Sunday River, one of the largest ski resorts in the east, and Mt. Abram, Bethel retains a unique personality year-round.